Smart Eyes™ is a formulation developed specifically to provide, direct to the eyes, the potent concentration of antioxidants, anti-glycation agents and lubricants they need: ¤ Smart Eyes™ contains a specific and expensive time-release form of carnosine, N-Acetyl l-Carnosine, which can reach both aqueous and lipid compartments of the eyes and protect them from light-induced damage. ¤ It has been shown that the use of eye drops containing 1% N-acetyl L-carnosine represents an effective way of preventing, and possibly treating, the development of senile cataracts. 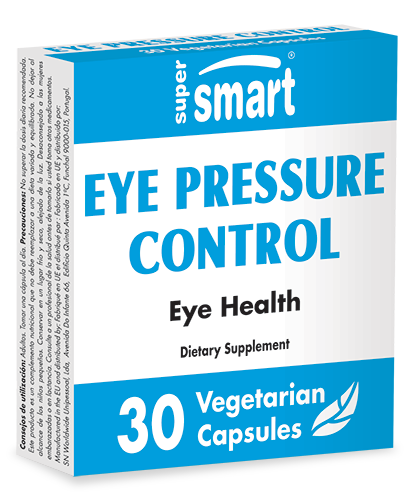 Smart Eyes™ also contains two lubricants (hydroxypropylmethylcellulose and glycerin) approved by the FDA for ophthalmological use. These lubricants play a synergistic role and protect against dry eye and irritation, particularly that caused by wind or sun. 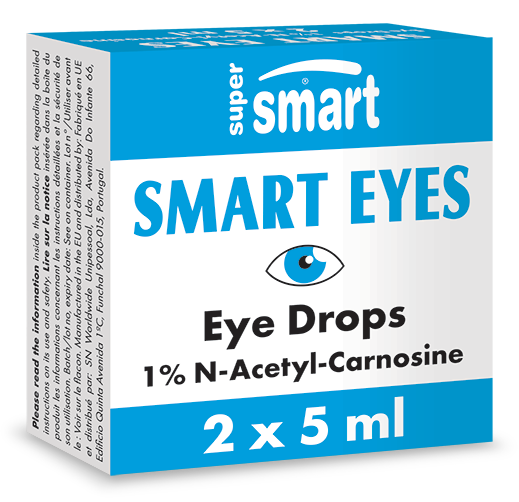 ¤ The new Smart Eyes™ packaging in 5 ml bottles significantly extends the life of the product and reduces oxidation and exposure to bacteria.